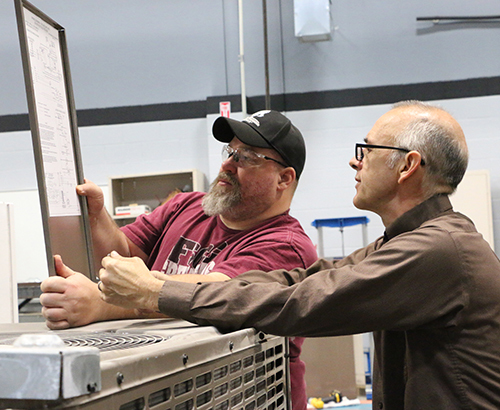 The FSCC heating, ventilation, and air conditioning (HVAC) program provides students with a variety of hands-on, real-world experiences. 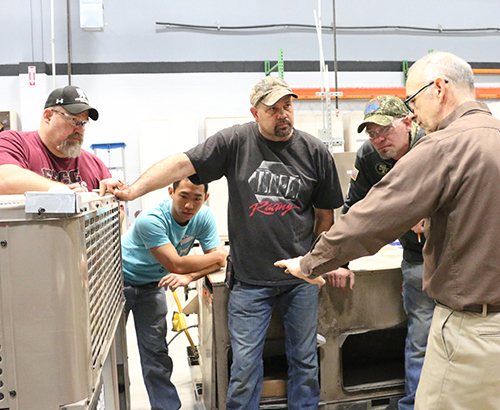 An advisory board consisting of industry representatives and instructors oversees the program to ensure the curriculum is up-to-date and responsive to current industry practices. 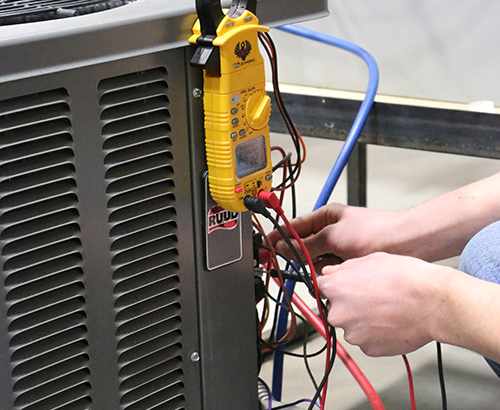 Coursework incorporates electrical and mechanical systems involved with HVAC and refrigeration. Students are trained to evaluate and determine proper operation of these systems, as well as basic maintenance and repairs for commercial, industrial and residential units. Students are also prepared to take the EPA refrigerant handling certification and other industry-recognized credentials. 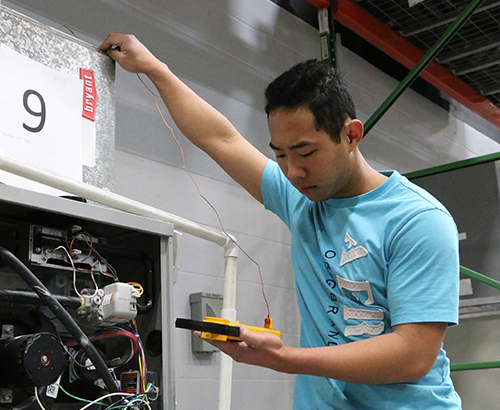 Students complete the program ready to work as entry-level service and warranty technicians in HVAC systems. According to the Occupational Outlook Handbook, employment of heating, air conditioning, and refrigeration mechanics and installers is projected to grow 21% through 2022, faster than the average for all occupations. Candidates familiar with computers and electronics and those with good troubleshooting skills will have the best job opportunities as employers continue to have difficulty finding qualified technicians to work on complex new systems. For more information, see the Occupational Outlook Handbook for HVAC. In a report highlighting the hard to fill nature of HVAC/R positions, Burning Glass found 220,734 job openings for HVAC/R in 2014 alone. The ESCO Group believes the industry should reflect a BLS estimate of "34% industry growth in next decade" with "31% of the HVACR workforce is expected to retire and need to be replaced in next decade" and "65% of HVACR workforce in ten years will be people not in the industry today." Please click here for more information about gainful employment for the HVAC certificate. FSCC is fully accredited by the Higher Learning Commission of the North Central Association of Colleges and Universities. Federal programs such as Stafford Loans and Pell Grants are available for those who qualify. For more information on financial aid assistance contact FSCC Financial Aid Office at 620-223-2700 or download the FAFSA form at fortscott.edu.